So, a friend told you, "Be sure you buy mil-spec when you get paracord." Okay, cool. What does that mean? Mil-spec paracord is paracord that passes military specifications as put forth by a document named "Mil-C-5040" which we link to below. 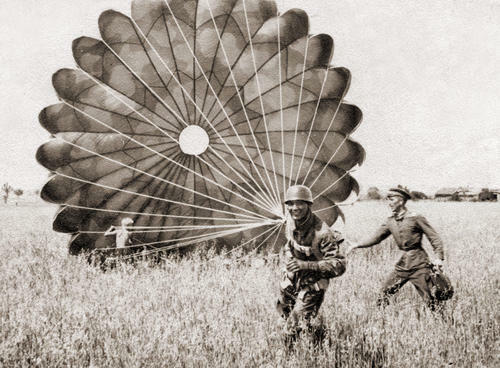 This document outlines various qualities of approved military nylon cordage such as strength, elasticity, color, and construction. For the purpose of this article, we will be talking solely about type III mil-spec cord, commonly known as "550 paracord". This name refers to its weight rating of 550 lbs. Why Do I Need Mil-Spec Paracord? The reason people like to buy mil-spec instead of commercial grade paracord is that, in their mind, it erases the risk of buying sub-par paracord. That is true to an extent. Real military cord does guarantee a certain amount of quality because mil-spec cord is required to undergo extensive testing. The problem is there's no regulation of the term "mil-spec". Just as there's a big difference between organic milk and USDA certified organic. Organic milk just means it comes from a cow. USDA certified means that it has passed regulations to be considered free from certain chemicals. There is no such governing body for the private sale of "mil-spec" paracord, so the product is only as reliable as the seller. Commercial grade 550 paracord, from a reliable seller, is going to be a quality grade of paracord. People often sneer at commercial cord because it hasn't undergone the same testing as mil-spec cord, but the truth is that it's often made by the same manufacturers as mil-spec cord and usually possesses a similar degree of quality. 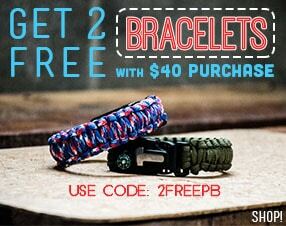 That is not to say that ALL paracord is created equal, because it's not. Some paracord is not made with strength in mind and is more suitable as a craft supply or light utility rope. Instead of focusing on mil-spec vs commercial paracord, you may instead want to focus on the specifics of the product, as well as seller and product reviews. Material: (Nylon) Nylon feels different than polyester. Polyester is less durable than nylon and often has a shiny appearance. 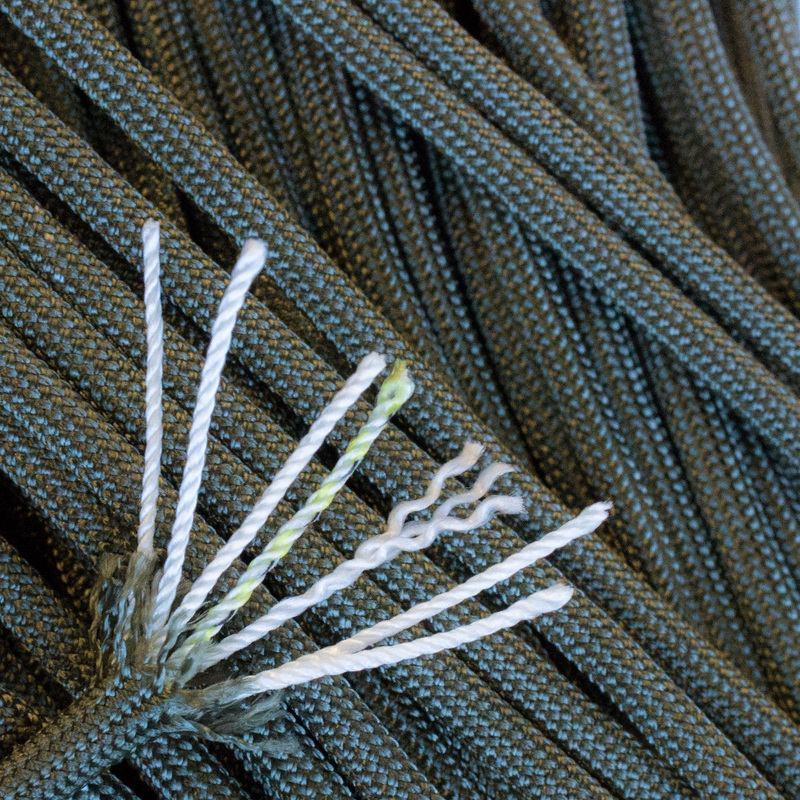 Color: If you really want to be a stickler on true mil-spec cord, your only color options are army green and off-white. If anyone has knowledge to the contrary they can correct me in the comments, but it seems that any other color would technically fail original mil-spec criteria. If commercial cord is sufficient for you, be careful where you buy it from. While the cheapest cord is definitely okay for children's crafts, you wouldn't want to tie a mattress to the roof of you car with it! Stay away from neon colors, as these are often made of polyester or a poly-nylon mix. Look at the inner strands. Good cord should have at least 7. They should be twisted, of 2 or 3 ply each, and not be fluffy. If it feels cheap, it probably is. Use your best judgement. Note: Being made of polyester doesn't automatically make a cord bad either. Polyester has a number of desirable properties: It does not absorb water, it's less likely to become kinked from laying in a pile, it's more UV resistant than nylon, it's highly heat-resistant, and it's recyclable. 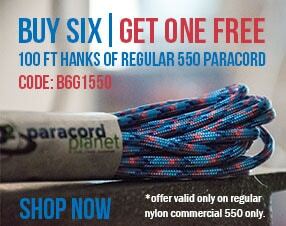 Paracord of any quality is not a miracle rope. It's 550 lb rating is nowhere near enough to catch you in a significant fall. Trusting your weight to it should only be done when absolutely necessary—and done very carefully at that. So, go ahead and buy real mil-spec cord. It looks nice and is certainly a trusty rope, but it's important to remember that the tool is only as smart as the person using it. Make sure you have the right tool for the job.